One of the main components of my job as Digital Marketing Manager here at NNEdigital is meeting with clients to teach them about Digital Marketing practices. Those conversations inevitably turn to online reviews and the plethora of feelings business owners have for them. But this is exactly what a business owner is doing by ignoring online reviews, and even worse, doing it in front of every other potential customer they could have. Online reviews are impacting buying decisions on a daily basis. According to a 2017 survey by Podium, 93% of consumers say reviews influence their buying decisions. Because of this, generating, managing and responding to reviews should be part of any business’ digital marketing plan. How Do You Start Earning More Reviews? Ask for reviews from customers at multiple points of the encounter; online, via email, in person, and with a link on receipts or order forms. If asked, 71% of consumers will leave a review. (Local Consumer Review Survey, 2017) Additionally, when asking for reviews regularly, business see the number of positive reviews increase exponentially. One business we work with, a furniture store, increased their review generation by eight times in one year by asking for reviews at two stages in the sale; once when the sale was completed in the showroom and once at the conclusion of the delivery. 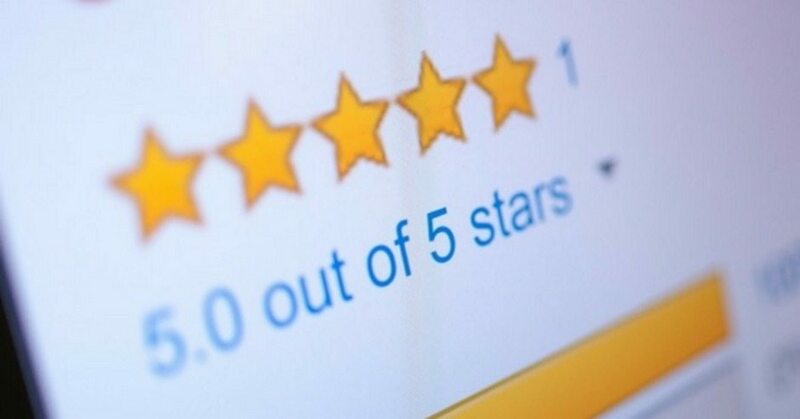 Their average score jumped from a 2.6 to a 3.8 star rating and as an added bonus, they found their employees were doing more to resolve any issues at the time of sale or delivery because they were required to ask for the review at the end of the interaction. Reviews also have an effect on SEO (Search Engine Optimization). According to Moz’s 2017 Local Search Ranking Factors Report online reviews make up about 13% of how search engines rank results. Google’s local pack, the dynamic business listings that show up in search and maps, include reviews prominently featured by star rating and easy links to access a business’ reviews. When using search, consumers are more likely to pick a listing for a company with more reviews and a higher star rating. About that review from 4 years ago? Most review sites will not let you delete a review. If they do, it is after a lengthy and confusing process, and usually takes an extended period of time and sometimes, even requires legal action. The best way to combat that bad review? Bury it with great ones from current, happy customers! What’s The Best Way To Respond To Reviews, Positive or Negative? By actively engaging with online reviews, you can offset the effect of a bad review. Post a reply to every review under your business name. Facebook, Google, Yelp, TripAdvisor, Travelocity and many other platforms allow companies to claim their business listing and respond as the business. For positive reviews, thank the poster for taking the time to review you, mention a reason for them to return (a new promotion, an added menu item, an accessory to a piece the purchased previously) and invite them back to your business using both their name and your business name. By mentioning your business name in the response you have now helped your SEO by associating your name with positive mentions of your business. For negative reviews, a similar formula is followed. First, acknowledge and empathize with the complaint. Second, insert a little marketing into your response, mentioning something you get recognized for often or a special you may have coming up. Third, take the conversation offline by providing an email or phone number and inviting the person to contact you to speak further. Lastly, keep your response short and sweet. A response to a bad restaurant review may look something like this: “John, we are sorry your last visit to ABC Restaurant did not go as planned. We understand it can be frustrating to wait for your food to be served. We typically receive high marks for the speed of our service. Please contact us at manager@ABCrestaurant.com so that we can get more details about your experience. Thank you!”. Not only does this help you solve the complaint of the poster but, every person after who reads this negative review can see your response and see that you are a business that cares about your results and wants to right any wrongs. Paying attention to online reviews has a big ROI in your digital marketing efforts. Some simple changes to your sales process to ask for reviews along with some time invested in monitoring and answering reviews will help your SEO as well as your business’ online reputation.